We're pleased to announce that Bernard Butler and Jackie McKeown’s new project TRANS will be playing on February 15th. They will shortly be releasing their second EP on Rough Trade Records. This year saw the Blow Up Club launch a brand new residency at The Bussey Building in Peckham, London and in October the club reached it's 20th Anniversary (read more) - we'll be celebrating officially on Saturday 15th February 2014. 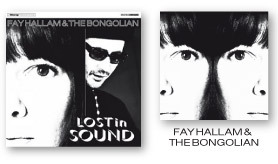 Meanwhile both Big Boss Man and The Bongolian have been touring around Europe, whilst The Bongolian returned for two storming sets at Blow Up this October and December. "One of the finest records from Liverpool in years"
"The judges believe that Towers captured the sprawling vitality of contemporary music and married this to a sonic landscape which is indicative of its birth. Flawless electronic melodies, breezeblock beats and an effortless futuristic edge"
"A fascinating combination of sounds, drawing from the last half-century of electronic music"
"Like John Barry who's just taken delivery of a new Moog. Very filmic"
"You wouldn't blink if someone told you it was from the Sheffield-era Warp label. 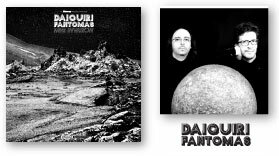 Or Air"
This August Daiquiri Fantomas released 'MHz Invasion', the debut album from the Sicilian experimental Avant-Pop duo Marco Barrano and Dario Sanguedolce. A mainly instrumental cocktail of ideas with a Retro-Futuristic flavour, encompassing Prog, Sci-Fi movie soundtracks & Kosmische (youtube album sampler). "A pillow of jangly guitars and sweet harmonies. 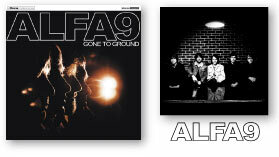 After a long haitus Alfa 9 followed their highly acclaimed debut with ‘Gone To Ground’ a much more stripped back affair, the most recent single from which 'El Morocco' was playlisted for 4 weeks on BBC 6 Music (1.9 million listeners UK & Worldwide) (other singles receiving numerous spot plays). They now haveBBC Radio sessions under their belt for 6 Music, BBC Stoke andBBC Liverpool. "[A] match made in heaven hark back to when pop music had a whole heap of soul and backbone! "A great little pop record"
October 16th this year marked exactly 20 years to the day when doors opened to the Blow Up club for the first time. Since then it has become a bona-fide legendary club night, being at the centre of the early to mid Nineties Brit Pop explosion, cited as the catalyst and birth place of the Brit Pop scene and influencing the style and sound of a generation. Blow Up was voted as No.4 in Time Out's Top Ten Clubs of the 90s, one of '5 Classic Clubs of Out Time' by Vox Magazine (alongside The Blitz Club and Shoom) and as 'The club that changed the world' by Melody Maker. More recently Blow Up appeared in Time Out's London Calling which described the club as "the breeding gournd of the Brit Pop sound" and in NME's Original's Top Ten Britpop Moments. From its origins at The Laurel Tree, Camden Town (1993-1996), to Soho venues the Wag Club (1996-2001) the Metro Club (2002-2009), and through various London venues since (2009-2013), Blow Up is one of London's longest running club nights. We've hosted events in Europe, and further afield, with events in USA, Russia and Japan, whilst the Blow Up club compilations ('Blow Up A-Go-Go!' and 'Blow Up presents Exclusive Blend') have proved popular worldwide. There is nowhere else quite like Blow Up, and in many ways it’s still unique. ‘Blow Up may be inspired by the ’60s,’ wrote Time Out years ago, ‘but their night could run and run.’ It looks set to do just that. Just uploaded this week - Baltic Fleet performing 'Toire De' from his new album 'Towers' back in May at Village Underground joined onstage by Public Service Broadcasting (Baltic Fleet's Paul Fleming later joined PSB for their last number 'Everest'). The sold-out show was supporting Public Service Broadcasting and they'll be playing with them again at Hebden Bridge Trade Club on June 22nd. Last Friday we headed down to London's Southbank Centre to catch both of Baltic Fleet's sets at the opening night of Yoko Ono's Meltdown Festival as well as the lady herself in Yoko Ono's Plastic Ono band, joined onstage by Peaches. 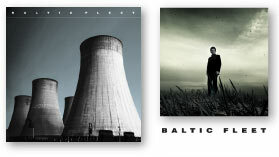 Baltic Fleet's set was described by Bloomberg as "the psychedelic mid-point between Joy Division and Daft Punk". The band caught up with Sean Lennon at the aftershow too - check out the photos on Flickr. Baltic Fleet performing new single 'The Wilds' (with a nod to Daft Punk) live at the Village Underground last month on. The sold-out show was supporting Public Service Broadcasting and they'll be playing with them again at Hebden Bridge Trade Club on June 22nd. You can check out photos from the show on Flickr. If you have any photos yourself you can add them to the Baltic Fleet Flickr group here. We managed to grab a few shots of Baltic Fleet at the closing night of this year's Liverpool Sound City - more over here on Flickr. After Friday's GIT Awards in Liverpool we headed across to Stoke-On-Trent to see Alfa 9 celebrate Record Store Day on Saturday in their hometown with an instore gig at their local record shop Music Mania playing tracks from their new album 'Gone To Ground' followed by a headline show at The Sugarmill. Advance tickets have now sold out for tonight. For those who wish only to attend the late night club session without seeing the bands there will be a VERY limited amount of reduced price tickets at £5 on the door from 11pm. This will only allow entry after the bands have finished playing, and again is strictly first come first served. Stereo Total will return to Blow Up on February 8th 2013 for a one-off London show at The Macbeth. The 5th time our favourite electro-duo have played at the club who are flying in from Germany especially. Plus Blow Up DJs Paul Tunkin & Ian Jackson spinning their trademark mix of Pop Stylism, 60's Soul, Beat, Garage, Funk, Ska, Soundtracks, Electronica, Library Music colliding with British Pop, Glam, Indie-Pop and New-Wave. Blow Up's monthly West London residency at Ginglik in Shepherd's Bush with live guests this month DC Fontana and The Electric Stars. Plus Blow Up DJs Paul Tunkin & Ian Jackson spinning their trademark mix of Pop Stylism, 60's Soul, Beat, Garage, Funk, Ska, Soundtracks, Electronica, Library Music colliding with British Pop, Glam, Indie-Pop and New-Wave. Turned-on music to shake your hips & pluck your heartstrings… DC Fontanaare on a mission.The 2012 edition of the band is fronted by Louise Turner while founding member Mark Mortimer plays bass & is one of the two main song-writers along with Scott Riley who used to play with Spectrum, the psychedelic off-shoot of the Spacemen 3.With producer Donald Ross Skinner (Julian Cope, Prolapse, Salad, Cud etc) at the helm the DCs delivered the kitchen-sink drama Six Against Eight after camping inside the famous Parr Street Studios in Liverpool where they had been invited to record by legendary Echo & The Bunnymen guitarist Will Sergeant, a fan of the band. THE ELECTRIC STARS Infectious melodies, lyrics that become part of your life & songs that you NEED to own! If there was a modern mash up of Stones/Who/Kinks/Beatles...This is what it would sound like! DAVID WOODCOCK New Blow Up Records' signing David Woodcock returns to Blow Up as part of his monthly residency. Expect great songs delivered in Dave's own inimitable Essex style. 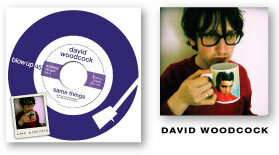 Best described as the closest thing to a knees-up with Chas'N'Dave and The Kinks' Ray Davies! Blow Up presents the album launch for Fay Hallam & The Bongolian's new album 'Lost In Sound' (Blow Up Records) with a rare live London show by the Mod Queen herself, with a brand new band line-up, and featuring special guest appearances by ex-Prisoners/ Prime Movers/ Phaze/ Solar Flares, bass-legend, Allan Crockford. Blow Up's monthly West London residency at Ginglik in Shepherd's Bush with Blow Up DJs Paul Tunkin & Ian Jackson spinning their trademark mix of Pop Stylism, 60′s Soul, Beat, Garage, Funk, Ska, Soundtracks, Electronica, Library Music colliding with British Pop, Glam, Indie-Pop and New-Wave. 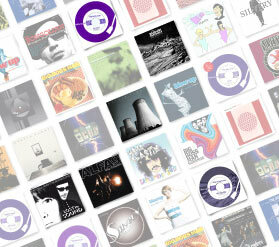 The Blow Up playlist includes classic tracks from both its past and present, from its Brit Pop era favourites, (the scene of which the club helped kick-start way back in 1993 in Camden Town) to the current new things tickling our fancy - the new Pop stylists putting the art back into pop alongside essential New Wave, Glam and indie classic cuts. All this alongside Blow Up's trademark mix of 60's killer dance floor tracks in the following genre's - 60's Swinging Soundtracks, TV Themes, 60s Exotica & Electronica, 60s Club Soul, Northern Soul, Beat, Mod Jazz, French Pop, Library Music and Ska. Bloody marvellous! BLOW UP IS BACK IN THE USA for APRIL/MAY 2012! Blow Up in association with Record Club / Club Underground / Shake Appeal is excited to announce another return for Blow Up to California in 2012: On Friday 27th Blow Up teams up with the Club Underground again in LA in their new home at the Grand Star Jazz with Blow Up DJ/Founder Paul Tunkin and Club Underground DJs Larry G (aka Supercrass), Diana M. (Sweater Girls), Liz O. ( Bang! ), Bip Jeffington (Bang!, Beat It). Running since 2001, Club Underground has been the premiere Britpop, Indie, Eletro Pop, Twee, Post-Punk, Soul, Sixties and New Wave party in Los Angeles... ...Followed the next day on Saturday 28th at The Townhouse Lounge in Sacramento, with DJ Paul Tunkin, Record Club's Roger Carpio, a live set from San Francisco's Cellar Doors plus a light show by George Holden (lightshow artist since 1966 and one of the pioneers in the field. He first worked with Abecrombe Lights featured by Bill Graham at the original Fillmore West and Winterland shows in San Francisco) and an art show by the talented Galine Tumasova who collaborated with Blow Up's Claudia Arnold for the ace series of club posters this year... ...Followed by San Francisco on Tuesday 1st May at The Monarch with DJs Paul Tunkin and a great line-up of DJs from the SF scene Carlos Perez (Tailor Made), Major Sean (Tailor Made, Club Leisure), Liam Caton (Shake Appeal) & Galine Tumasova (Shake Appeal)! Sponsored by Ben Sherman (thanks Mikey Tashjian!) ...followed by Blow Up back in London on Friday 4th May at Ginglik with a special anniversary show for B-Movie... phew! Blow Up's new monthly West London residency at Ginglik in Shepherd's Bush, continues with live guests this month B-MOVIE. Plus Blow Up DJs Paul Tunkin & Ian Jackson (and the occasional guest) spinning their trademark mix of Pop Stylism, 60's Soul, Beat, Garage, Funk, Ska, Soundtracks, Electronica, Library Music colliding with British Pop, Glam, Indie-Pop and New-Wave. A celebration from the other side of Pop where the Kinks, Bowie, Blur share the dancefloor with current newcomers Pete & The Pirates, British Sea Power and Metronomy, all alongside Swinging Soundtracks & TV Themes (The Italian Job to Barbarella), 60s Exotica & Electronica (Jean-Jacques Perry), 60s Club Soul (Motown, Stax etc. ), Northern Soul, Beat, Mod Jazz, French Pop (Jacques Dutronc, Bridget Bardot) and New Wave (XTC, Wire). B-MOVIECult 80's New-Wavers B-Movie return for a one off show for Blow Up at Ginglik in Shepherds Bush on May 4th 2012, 30 years after the release of their most famous song. Expect all the classic early eighties post punk singles plus songs from their new EP, Echoes, out April 2012.Originally released in 1982, the single made the Top 10 in many European countries and reached #68 in the United Kingdom at the time. In 2000 Uncut magazine released an album entitled Dawn of Electronica, a tribute to the early pioneers of electronic music, and alongside acts like Depeche Mode, Soft Cell, Art of Noise and Giorgio Moroder were B-Movie. 'B-Movie's Remembrance Day though it may might not have stormed the top 40 was quintessential synth pop: the lugubrious vocals and heroic gravitas, the stabbing keyboard as rhythmic device and air of icy melodrama/melancholia.' Echoes of this Nottinghamshire quartet's melodic post punk analogue synth driven sound can be heard in many indie and dance acts of today; American electro-punk indie band The Faint reworked Remembrance Day into Southern Belles in London Sing on their Wet from Birth album, and B-Movie's most famous song Nowhere Girl was remixed by Adam Freeland for the Future Retro compilation. Marco Pirroni and Chris Constantinou formed The Wolfmen in 2005. Marco (guitars) enjoyed extraordinary success with ADAM & THE ANTS and later worked with Sinead O'Connor. Chris (bass, lead vocals) previously led JACKIEONASSID and has worked with Adam Ant, Annabella Lwin(Bow-Wow-Wow) and Sinead O'Connor also. Zelig Preston Heyman (Massive Attack, Kate Bush) also features in the Wolfmen on percussion. Alongside their own work, the band is known for some surprising collaborations with artists ranging from LOU REED to DALER MEHNDI, the biggest selling artist Indian in music history. They've also covered Screaming Jay Hawkins' "I Put A Spell On You" with PRIMAL SCREAM for an ALEXANDER MCQUEEN catwalk show and co-written a few tracks on Sinead O'Connor's new album. Debut album Modernity Killed Every Night was mixed by Alan Moulder (The Killers, U2, Arctic Monkeys, Smashing Pumpkins), lead track "Cecilie" being A-listed on NME Radio for seven weeks in a row. The Wolfmen's 2011 second album - Married To The Eiffel Tower - was produced by Courtney-Taylor-Taylor (frontman/songwriter with The Dandy Warhols) and Jacob Portrait (Queens Of The Stone Age, Foo Fighters)., winning massive radio support with spins from the likes of Dermot O'Leary (BBC Radio 2), Chris Hawkins (BBC 6Music), Don Letts, Sarah Kerr (BBC 6Music), Lauren Laverne, Gary Crowley and David Quantick. Claiming all the credentials of a bonafide 77 super group, The Bermondsey Joyriders is a band pooling all the hard won experience and history of three veteran Punks...Gary Lammin,Martin Stacey,and Chris Musto.. Founder members Gary Lammin(Vocals/Guitar) and Martin Stacey(Bass) cut their teeth in the Joe Strummer produced 'Little Roosters' and Chelsea respectively..Whilst recent recruit Chris Musto (Drums) is a sticksman of some credenials..Having previously played with Johnny Thunders,Joe Strummer and Nico to name a few! At Blow up they will be playing their classic 1st album set and showcasing selected songs from their eagerly awaited forthcoming 2nd album 'Noise & Revolution',featuring ex MC5 manager / White panther party leader John Sinclair! Voted one of the Bands to watch in 2012 in 'Viva le Rock' magazine! The 2nd of Blow Up's new monthly West London residency at Ginglik in Shepherd's Bush, and just in time for Christmas! Always guaranteed to get the party going is BIG BOSS MAN's Nasser Bouzida aka THE BONGOLIAN & his band, with support from THEE FACTION. Plus of course Blow Up DJs Paul Tunkin & Ian Jackson spinning their trademark mix of Pop Stylism, 60's Soul, Beat, Garage, Funk, Ska, Soundtracks, Electronica, Library Music colliding with British Pop, Glam, Indie-Pop and New-Wave. ....A celebration from the other side of Pop where the Kinks, Bowie, Blur share the dancefloor with current newcomers Pete & The Pirates, British Sea Power and Metronomy, all alongside Swinging Soundtracks & TV Themes (The Italian Job to Barbarella), 60s Exotica & Electronica (Jean-Jacques Perry), 60s Club Soul (Motown, Stax etc. ), Northern Soul, Beat, Mod Jazz, French Pop (Jacques Dutronc, Bridget Bardot) and New Wave (XTC, Wire). Rough Trade Shops will be curating a night at this years Sensoria with a live performance from Baltic Fleet and Rough Trade Shops DJS - FREE ENTRY.